Compatible with Olfa, Fiskars, Clover, DAFA, and more. * If for any reason you are not completely satisfied with any of our products, return them for replacement or a full refund. No fine print. ADD international shipping to their order. Each package contains 10 Rotary Cutter Blades but for a fraction of Name-Brand price. 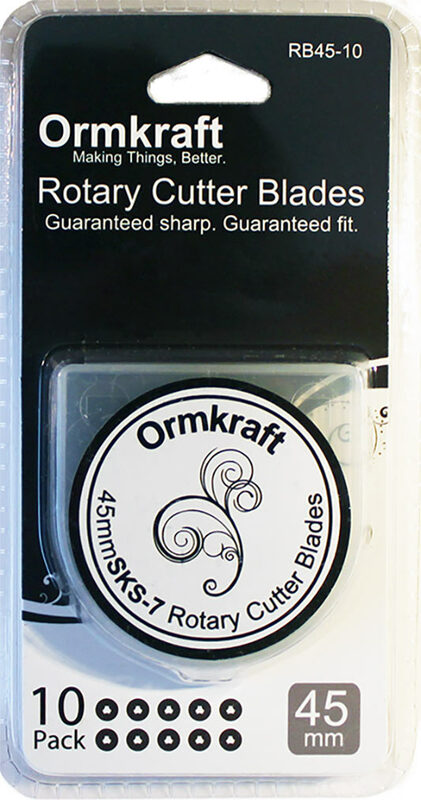 Each package contains 10 brand new, rotary blades for your rotary cutter. Beware of imitation stainless steel. Ours are made of durable, high carbon, SKS-7 steel; very sharp and keep their edge. Established in 2013, Ormkraft has thousands of loyal customers who will attest to our sharpness and durability. You may find cheaper blades, but you won't find less expensive ones. Olfa introduced the first rotary cutter in 1979 for garment making, however this versatile tool was quickly adopted by quilters. Since that time, all manner of professionals and hobbiests have embraced the ease and safety this tool provides. Though the majority of our customers use our rotary cutter blades for fabric, there are those that use them for paper and leather crafts as well as for cutting specialty compound fabrics such as neoprene. As enthusiasts ourselves, we were discouraged with the excessive price each of the name brand companies placed on their respective cutter blades. It was that concern that drove my wife and I to investigate better alternatives. Since its introduction, many manufacturers have begun to produce rotary cutter blades. Unfortunately not all blades are created equal and it is a winding trail to learn the differences. After a rapid leaning curve in metalurgy, we became more understanding of the specific alloy and treatments that are needed in a good blade, but... let's just say that many international manufacturers have little scruples when it comes to honesty about material composition. Over the course of a couple of years we tried many suppliers, but were repeatedly let down by the quality. Pretty much all blades start with a razors edge, but usage over time tells the true story. We were begining to believe the big name brands might be right. Fortunately for us (and all our raving customers) we hit on a supplier that delivered what they promised. Since 2013 we have continued to build a strong relationship with our supplier, and they continue to deliver. You can't deal in such a large quantity of product and never have a problem. Like any manufactured product, there can be "duds" in the assembly, so for that reason we offer an unconditional guarantee of quality. We use our own product daily and that's why we know we can stand behind it. 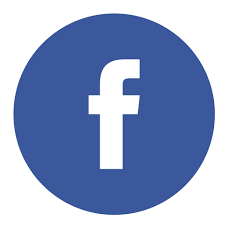 We hope to be a long standing partner with you. Whatever way you use our product, you can do it with the same confidence as you do with a name brand blade, only with a few more $$ left in your pocket. These aren't no-name blades, they're ORMKRAFT blades, they just come with a no-name price. Peace in all you do. They are great. Heather sent me a few a few weeks ago and I LOVE LOVE THEM. I won't be ordering any until after the first of the year - but I will ONLY buy from her from now on. They're great! The only blades I use! I bought several packages awhile ago and I LOVE them! I will only buy my blades from Heather from now on. She also sells awesome sewing machine needles. Thank you heather for my blades, I will definitely order more next year. Excellent company to deal with. I'm very happy with my purchase & also the Christmas drawing prize I won from them. Thanks So much Heather. Ormkraft specializes in delivering the best value for your dollar guaranteed. If you are dissatisfied with the quality of our product, return it for replacement or a full refund, it's that simple. Quantities are limited. You will be notified via email if your order cannot be fulfilled.